We are excited to hear what God has to say to us through his word and meet together every week during the normal academic term. In addition, we have three weekends away together each year to consider topics like: How God Speaks, The Cross, and Understanding the Bible for Yourself. We also pray for one another each week and for the gospel to be proclaimed in the City. 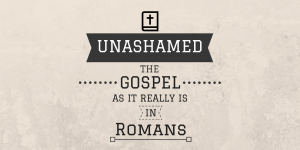 We will be studying Romans this year in both Small Groups and Partnership. We run Bible study groups for our St Nick’s church family on Wednesday evenings. For City workers and church family who cannot make an evening commitment we also run studies on a Tuesday morning. Does God give second chances in a world which doesn’t? If you’re there, God, can’t you make yourself clearer?